Funding from the Canadian government has given a boost to non-profit organization Imhotep Legacy Academy (ILA). 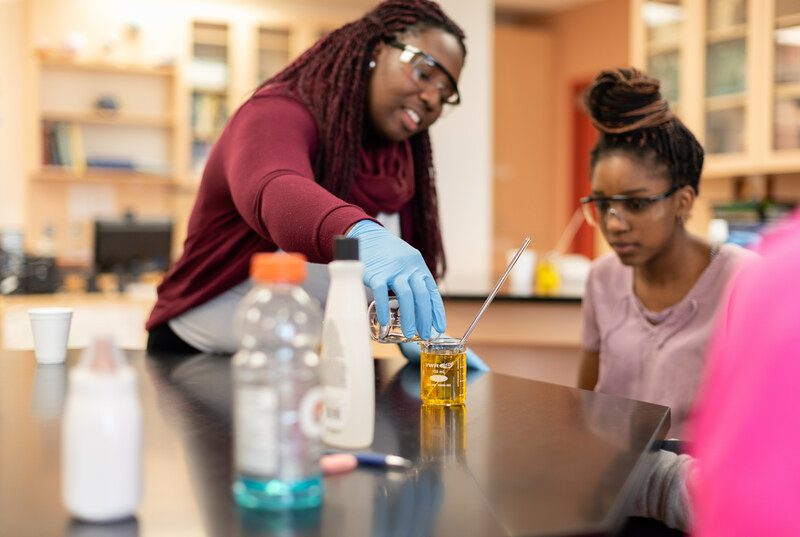 Overseen by Dalhousie University, ILA aims to diversify the Nova Scotian workforce by exposing African Nova Scotian students to STEM (Science, Technology, Engineering, Mathematics) subjects. The organization has been mentoring and teaching students for 16 years. Per an announcement on Sept. 17, ILA will receive $128,160 over the course of three years from the Natural Sciences and Engineering Research Council of Canada PromoScience Program. This is an organization that aims to foster future researchers in Canada, as stated on its website. The ILA offers opportunities and support for students in grades 6-12. It has Lego programs, afterschool programs and virtual school programs. On top of that, there are summer research opportunities available to university students. They give some university students research scholarships and summer employment to increase their exposure to STEM based professions so that they may find the area that interests them most. Idemudia said students can gain research experience in the departments of science, engineering, the faculty of health professions and the faculty of medicine. Idemudia also noted that ILA’s students take part in robotics competitions and are learning to code through their new coding program. The ILA program is becoming increasingly popular with 20-30 students graduating from the program every year. The ILA visits several partner schools to promote their program. While at the schools, they do a science demonstration “to get them interested in science and technology and then invite those who are interested to register,” said Idemudia. Interested students then meet with the ILA weekly to learn more about STEM. By doing this, the students are able to gain a deeper understanding of the subjects and create connections with mentors and other students. This system is one of the unique things about the organization. The importance of this program lies not only within the knowledge gained, but the means through which it is gained. It was created due to due to the lack of African Nova Scotian students going into STEM fields. Idemudia emphasized that students “get to have fun while doing the activities.” They learn through “cultural relevance,” said Idemudia, meaning that these students learn about how STEM is associated with their African heritage by learning about “someone of African descent who has succeeded in that category before,” while also receiving mentorship from someone of African descent. ILA aims to support young, African Nova Scotians academically and financially. Because of the high cost of university, they give some students scholarships to help with their university fees. Idemudia explained that they want “students to know that STEM is an option” and in doing so, break many of the barriers which prevent African Nova Scotian students from studying STEM.